NOT A DOODLE: T-Rex in a Teryx! One of my latest pieces. 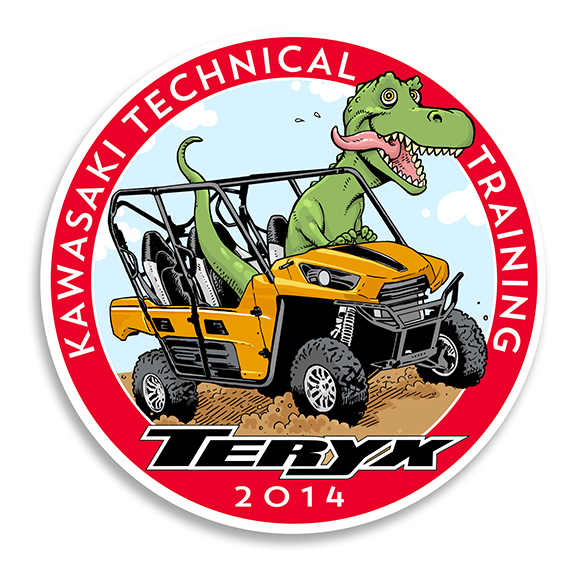 This was done for the Kawasaki corporation to be used on technical training collateral materials relating to their awesome Teryx side-by-side all-terrain vehicles. The bad thing about doing this piece is- now I want to drive one of these suckers! Only, without the T-rex. Off-road driving is already challenging enough; I can’t imagine attempting it while a large predator is trying to eat your head.